With few exceptions, horror games just aren’t all that scary anymore, some even turning out downright frustrating instead. Undeniably less than ideal, so hopefully the latest from Puppet Combo, the extremely unsettling The Glass Staircase, will be able to bring back that much too rare, lovely feeling of genuine fear. 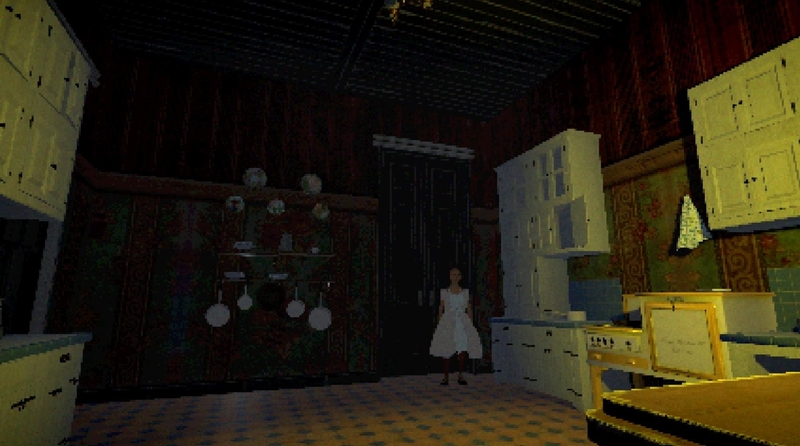 As someone who grew up with the Alone in the Dark trilogy, based on the trailer (below), this one just screams ‘nostalgia trip’ – complete with a bit of Resident Evil for good measure. Love it. Who needs the flashy visuals of the Resident Evil 2 remake anyway? What, camera control? Pft. Long live the mighty pixel and fixed camera angles! Now, as far as the story in The Glass Staircase goes… I’m not entirely sure as to whether the house itself is the thing to fear or someone on a power trip in the habit of kidnapping little girls. Probably a little bit of both, which just makes the whole thing even more terrifying. Players will be able to do plenty exploring though, clunky tank controls and all, blasting otherworldly terrors all night long. Who knows what might be lurking around that corner up ahead? Doom and gloom, that’s what. Much doom, plenty gloom, and it is going to be so groovy. The Glass Staircase is available on itch.io, carrying a $5.95 price tag.